The Cyrano Agency consists of four people from a theater troupe who offers a unique cupid service for lovelorn clients. The company intricately devises and implements schemes, custom tailored to match the interests of their intended target, for the ultimate goal of obtaining romance for their client. 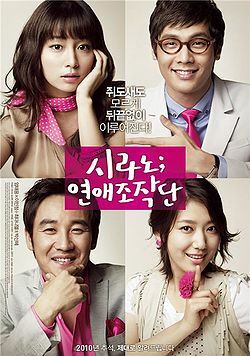 The boss and mastermind behind the agency is Byung-Hoon (Uhm Tae-Woong).